During 2018, the Maine Legislature passed two Bills dealing with the future of marijuana business in Maine that are to become effective this week. Both are designed to end the wild west nature of the industry but they have very burdensome tax and operating rules. This three-part series breaks down some of the business, accounting and tax issues surrounding the future of Medical and Adult use marijuana sales in Maine. Part I looked into the impact of the new rules on Dispensaries and Caregivers. Part II reviews the “adult use” market and Part III looks to the future of the cannabis industry. This week the Marijuana Legalization Act becomes law. Tasked with helping Legislators through the maze of regulations is newly engaged Los Angeles consulting firm, BOTEC. The Portland Press Herald reported that BOTEC will likely finish writing the rules by the end of April 2019. Once implemented, license applications will be considered for marijuana retail stores, cultivation facilities, product manufacturing, testing facilities and social clubs. Only after the first licenses are issued will seeds be planted for the adult use market. For now, the Marijuana Legalization Act is law but there is no mechanism for anyone to apply for licenses. The Act, as it exists, does make it clear that the initial owners of marijuana businesses will be residents of Maine, who have approval from local authorities to conduct marijuana business operations. If the business is incorporated, its officers, directors, managers and the majority of its shareholders are required to be Maine residents. All applicants, directors, employees or other closely related individuals will be subject to strict background check provisions ensuring that owners will not have past drug violations, outstanding court-ordered payments and are compliant with federal and state taxing authorities. Cultivation facility licenses, up to 3 facilities with total plant canopy not to exceed 30,000 square feet. No single facility can exceed 20,000 sqft. Marijuana store licenses, up to 4 stores with direct or indirect financial ownership. Testing facility licenses, these owners can have no financial interest in any other type of marijuana establishment. Manufacturing licenses, issued for the production, blending, infusing and other preparation, including extraction of cannabis. So who is in charge? Just about everybody. Under section 104.3 the following have their hands in the mix: The Departments of, Alcoholic Beverages, Agriculture, Health, Labor, Audit and Financial Services and of course the Department of revenue. It is also very clear that none of these licenses will be granted without the approval of local municipalities. Subchapter 4 of the Act states that when it comes to who licenses are granted to. “…a municipality may regulate marijuana establishments within the municipality…”. As set forth, those approved business owners will be granted a conditional license subject to local authorization. On the accounting side, even though most transactions are conducted with cash, adult use marijuana licensees are required to keep complete business records that are open to inspection by the State. Seed to sale records must be kept for the current year, plus the two immediately preceding tax years. Like medical marijuana businesses, adult use businesses should pay particular attention as to how they set up their chart of accounts, so that costs of goods sold can be accurately accounted for. Unlike the rules governing the medical side, which require a financial audit, the adult use licensee may be required to submit to an audit. The auditor would be selected by the Department with all costs billed to the licensee. It is curious to me that caregivers are required to be audited, while adult use business owners may be subject to audit. Taxes on the adult use market include sales tax of 10% on sales to the consumer. It is made clear that it is the retailers responsibility to collect and remit sales tax. Excise taxes paid by growers will increase the overall cost to consumers with tax of up to $335 per lb. of flowering plant, $90/lb. trim, $1.50 on seedlings and $0.30 on seeds. Adult use growers and manufacturers should waste no time in applying for sales exemption certificates. (The same sales tax exemptions exist for adult use agriculture and manufacturing operations as described in Part I for dispensaries and caregivers.) Note that courts have concluded that sales taxes should be netted against sales and not reported as an expense, so that they are not considered as part of a 280E adjustment. Business owners will have to consider what entity type is best. It is likely that some form of corporate ownership will be most advantageous but it will vary depending on individual circumstances. Both the new 21% corporate tax rate and the 199A deduction for sole proprietors and flow through entities are applicable but the benefit of both are reduced by the burdensome impact of 280E. Interestingly enough, for Maine income tax purposes, the adult use market is not allowed to deduct normal operating expenses picked up under code section 280E. Needless to say it is wise to consult with a tax professional to decide which entity type is best and to carefully consider the implications of 280E. The Act also begins to open a window to the future with provisions that expire in 2021 & 2022. What does the future hold? Will cannabis businesses be overwhelmed by federal restrictions? What impact will the Harborside Health Center US Tax Court ruling have on potential investors? Part III of this series will highlight my thoughts on the impact of these and where the industry is going. James Boulette, CPA has been advising medial cannabis dispensaries in ME and MA since laws were enacted allowing for legal sales. He is one of New England’s leading experts in the application of 280E. He can be reached at 207-873-1603. During 2018, the Maine Legislature passed two Bills dealing with the future of the marijuana business in Maine that are to become effective this December. Both are designed to end the wild west nature of the industry but they have very burdensome tax and operating rules. This three-part series will breakdown some of the business, accounting and tax issues surrounding the future of Medical and Adult use marijuana sales in Maine. Part I looks into the impact of the new rules on Dispensaries and Caregivers. Part II will review the “adult use” market and Part III looks to the future of the cannabis industry. The Act to Amend Maine’s Medical Marijuana Law allows both dispensaries and caregivers to continue to supply marijuana to registered “cardholding” patients. New rules increase the number of existing medical dispensaries from 8 to 14 and allow dispensary ownership to be set up as for-profit entities. Registered Caregivers will be able to cultivate a total of 30 mature plants, 60 immature plants and unlimited seedlings, rather than have a dedicated amount of plants per patient as the old rules dictated. These caregivers may also transfer 30% of the mature plants grown during the year to other registered caregivers or dispensaries in wholesale transactions. The new law also allows caregivers to share a building with others, using separate and dedicated grow space, but it prohibits consortiums. (Multiple growers working together to grow co-owned crops). Caregivers will be allowed to manufacture marijuana products and concentrate for medical use, except that a caregiver may not manufacture food unless licensed to do so. Both medical marijuana groups will face increased reporting requirements. Under section 2430-G 1.A. (3), registered caregivers, dispensaries, testing facilities and manufacturers will be required to undergo an annual audit of business transactions conducted by an independent 3rd party. At this point it is not clear if the legislature used the term “audit” loosely, or if they are actually requiring an independent CPA to issue an audit report on the company’s financial statements. If the latter is true, auditors will be partially hamstrung by the vast majority of cash transactions that are conducted. In addition to gaining an understanding of the seed to sale product tracking software, I anticipate that auditors will likely employ creative strategies, like testing cannabis production against fertilizer usage or energy consumption in order to issue an opinion. From a tax perspective, dispensary and caregiver sales are subject to sales tax at rates of 5.5% for marijuana, topicals and paraphernalia, and 8% for prepared food products or “medibles”. Readers should be aware that the Maine sales tax bulletin #60 is a good resource for determining sales/use tax industry specifics and for highlighting that agriculture and manufacturing exemptions do exist. Once applied for, these exemptions can save thousands of dollars by reducing or eliminating sales taxes on fertilizer, grow lights, airflow systems, equipment, utility bills and other direct cultivation and manufacturing expenses. Other highlights of the Medical Marijuana law include, a 7-year record keeping requirement, and a deduction for Maine income tax purposes of the amount disallowed by the IRS under Federal 280E for both individuals and corporations. Dispensaries no longer need to be a Maine Not-for-profit corporation taxed as a C corporation. This opens the door for other types of entity formations (S-Corp, LLC etc), provided that all officers or directors are residents of ME. The future of the Maine medical cannabis may well float on the implementation of the adult use market. Part II of my report will outline the Maine adult use market. James Boulette, CPA has been advising medial cannabis dispensaries in ME and MA since laws were enacted allowing for legal sales. He is one of New England’s leading experts in the application of 280E. Last winter Congress passed the Tax Cuts and Jobs Act (TCJA) in an effort to lower income taxes for virtually all taxpayers. As a result, most Americans are expecting larger refunds this spring. Supporters of the bill believe this will help improve the economy, while others believe it is fiscally irresponsible. Whatever your belief is, it is certainly changing the way tax returns are prepared and enhancing certain credits. One of the major changes with the Tax Cuts and Jobs Act, is that the deduction for personal exemptions has been suspended. This is often a significant benefit for taxpayers and families with children. The new tax code however, is increasing the child tax credit up to $2,000 per child under Code Section 24(h)(2). Under pre-Act law, the child tax credit provided taxpayers a benefit up to $1,000 per child. The pre-Act law also phased out taxpayers by $50 for each $1,000 of adjusted gross income (AGI) over $75,000 for single filers, $110,000 for married filing joint filers, and $55,000 for married individuals filing separately. These phase out thresholds often kept many taxpayers from receiving this credit. Thankfully, under the new Tax Cuts and Jobs Act, the phase out thresholds have increased to $400,000 for married taxpayers filing jointly, and $200,000 for all other taxpayers. These child tax credit modifications will certainly benefit more taxpayers with qualifying children. Another benefit of the Tax Cuts and Jobs Act, to help combat the suspension of personal exemptions, is the non-child dependent credit. Under Code Section 24(h)(4) there will be a partial credit worth up to $500 for each dependent of the taxpayer, that is other than a qualifying child. This will likely help taxpayers who have been providing qualifying relatives more than half of their annual support. These are two small changes included in the Tax Cuts and Jobs Act that could have the potential to reduce your 2018 taxes. The TCJA will certainly impact every taxpayer’s 2018 tax return in one way or another. If you would like to review what implications the TCJA could have on your 2018 tax return, PFBF CPAs is happy to assist you with your questions. Please don’t hesitate to stop by one of our offices: 259 Front Street, Bath or 46 First Park Drive Oakland. Nick Deblois is a Staff Accountant at Perry, Fitts, Boulette & Fitton CPAs. He works closely with other senior staff members of the firm, honing his talents regarding tax and accounting matters. He can be reached at 207-873-1603. Last December, one of the biggest (real news) headlines was the drastic tax reform working its way through the legislative process. The Tax Cuts and Jobs Act (TCJA) was officially signed into law by President Trump on December 22, 2017 and it represents the most comprehensive tax reform in decades. The more dramatic changes have been well publicized, but as with much of the Internal Revenue Code, some of the logistics are hard to comprehend. Arguably the most reformative of these changes is the Section 199A Deduction for Qualified Business Income. The Qualified Business Income Deduction (QBID) exemplifies congresses intent to organically aid in the growth of business. Staying consistent with the right’s traditional nod to trickle-down economic theories, the current administration is betting that increased liquidity via tax savings will be reinvested in capital assets and hiring. QBID is a “below the line” deduction on Form 1040 that is available to sole proprietors and recipients of pass-through income (i.e. from S-Corporations and Partnerships). It is likely that part of the initiative behind QBID was to even the playing field for businesses not operating as C-Corporations. Under the TCJA, C-Corporations now enjoy a flat 21% tax rate; with individual rates being as high as 37%, a business operating as a C-Corp could otherwise have advantages over S-Corps or Partnerships whose owner(s) reside in the top tax bracket. It seems to this author that the extension of the corporate tax break to small business owners not only fit the republican economic agenda, but it also is likely to have helped proponents of the bill increase public support amongst business owners. To narrow the gap in tax rates between large corporations and small businesses, congress decided to allow individuals a deduction on their personal tax returns equivalent to 20% of QBI (qualified business income). Assume for purposes of an illustration that the only item on a single filer’s tax return is $150,000 of business income and that they take the standard deduction. In 2018 this nets to $138,000 of taxable income and $27,410 of tax. Now consider all things the same, except the $150,000 of business income is qualified within the confines of QBID. In the later scenario, the taxpayer’s taxable income nets to $110,400, with tax of $20,786 and a net tax savings of $6,624 because of the new deduction. As with most tax breaks in the Internal Revenue Code, there are however caveats, and they are complicated. There is an income threshold for example: single filers with taxable income above $157,500 (or $315,000 for joint filers) will need to consider their employees’wages and the company’s depreciable assets into their QBID calculation, as their deduction will be limited by one of these two factors. Further, a taxpayer is subject to a complete phase-out of the deduction if he or she works in one of the few service industries specified by congress “where the principal asset is the reputation or skill of one or more of its employees.” Services in the fields of health, law, accounting and consulting are a few that fall into this category. If the AGI of a professional in one of these fields exceeds $207,500 (or $415,000 if they file joint) then the QBID escapes them entirely. There was in fact a bit of “fake news” surrounding the legislation in regards to how the Tax Cuts and Jobs Act was going to “simplify” the tax code. For some taxpayers, it probably did, the increased standard deduction will mean that many taxpayers will no longer need to itemize deductions. For other taxpayers however, specifically those who own a business, the tax environment got more complicated. The word “potential” is the best way to describe the QBID. Taxpayers whose income typically falls near the thresholds are going to have to be meticulous in how they structure things both at the entity level and on their personal returns to maximize the potential QBID. Diligent tax preparers are working with their clients to navigate the regulations and some interesting strategies are being passed around the CPA community. In the end it is going to come down to effective tax planning. Far too often taxpayers inadvertently omit deductions they would otherwise be entitled to had they planned properly. The QBID has potential to save a lot of people a lot of money, they just need to do their homework. John Massey is a Senior Accountant at Perry, Fitts, Boulette & Fitton CPAs. He helps individuals and businesses with tax planning preparation and works on compiled and reviewed financial statements for businesses. He can be reached at 207-873-1603. Our firm, Perry, Fitts, Boulette & Fitton CPAs work with an extensive amount of nonprofit organizations. Reach out to us if you have any questions. We’re happy to help. Contact us at 207-873-1603 or visit one of two locations at 259 Front Street, Bath or 46 First park Drive, Oakland. The PFBF CPAs “Run the Numbers” 5K & Kids Fun Run started in 2010 and raised $1,700 for charity. Eight years later the race has grown in numbers, bringing in over $100,000 for various Maine charities thanks to their participants and generous community sponsors. This year, all proceeds will go to the Alfond Youth Center’s Camp Tracy Campership Fund. The funds will help send area youth to Camp Tracy where children are taught team building, leadership, and independence skills through a wide variety of daily activities while having a positive social experience. The Harold Alfond Foundation has agreed to make a matching donation for every dollar raised. Be a ‘Champion for a Camper” at this year’s race! The 9th Annual road race will be on Saturday, June 16th which begins and ends at the office of Perry, Fitts, Boulette & Fitton CPAs (PFBF CPAs) on 46 First Park Drive in Oakland. The Kids Fun Run, free for kids 12 & under, starts at 8:30 a.m., followed by the professionally timed 5K Run/Walk which starts at 9:00 a.m. Youth and student rates are available. Kids Fun Run starts at 8:30 a.m.
Cash prizes will be given to the top three Overall Female/Male finishers as well as the top male and female finishers in each category. There will be a post-race party with music, food and drinks. Mac Dickson of 92 Moose will return for his 6th year as the Master of Ceremonies. Register Here! For questions and more info, contact Race Director, Melissa (Sawyer) Boulette at msawyer@pfbf.com or 873-1603. Even if it’s clear to you and your staff which programs must go, some stakeholders may object to your proposals. Handle these individuals — particularly donors — with care. Let us know how we can help. We can be reached at msawyer@pfbf.com or 207-873-1603. This weekend, I had two things to accomplish; get my tax return in order and begin to shop for a new truck. Given that this is a very busy time of the year for me, I decided to quietly shop on-line for that new pickup while she got all of her tax documents together. Since I am the financial professional of the household, I decided to make preparing our return and buying a new truck a simple two-step process. Step one: Review our gross income to begin tax preparation while getting a better handle on our finances. Step two: Convince my wife that there was still time this afternoon to go kick a few tires. Surely, given our income level, a new truck is affordable. Step one started on a high note, both of our W-2 forms showed that we earned more money than we had in 2016. Should I get the white or the black, 5.7L 4×4 Toyota Tundra? Being an accountant, I thought I would summarize our gross income, reduce it by our taxes withheld and then detail our household expenses to best illustrate how we spend our money. My project got cut short when we began reviewing the difference between gross and net pay. I felt the purse strings start to tighten, and rationalized that a gently treated preowned Tundra might be just as good. Thanks to the Current Tax Payment Act of 1943, this upper-middle income family had 47% of our income taken off the top for Federal, State, Social Security and Medicare taxes. Tax withholdings aside, that still left us with plenty for a used truck, right? Slowly my wife crossed her arms and asked about our 401(k) deductions. I reviewed with her the benefits that I was sure that she already knew about and explained that that too can directly off the top. Given the dollars that come directly from our gross pay, she suggested that it might be wise if we budget our expenses for the new year. I am a CPA; I could surely whip up a budget before the dealership closed. We proceeded to draft our 2018 budget, while I closely monitored the time. With 53% of our after tax and retirement savings left to budget, the numbers quickly unfolded; deduct 18% for housing, 8% for auto, 7% for food, 6% for healthcare, 5% to charity, 5% to savings, that left 4% for everything else. I thought we were done; I’ll take the 2014 black 4×4 Tundra please. “Did you budget for our after tax season trip to the Bahamas?” she asked. It was then that I realized, my 2007 Toyota worked just fine. Jamie Boulette, CPA has 30 years of tax experience and is managing director of Perry, Fitts, Boulette & Fitton CPAs with offices in Bath and Oakland. He can be reached at jboulette@pfbf.com or 371-8002. The key role of a not-for-profit’s internal auditors was once limited largely to testing financial and compliance controls and reporting their findings to the organization’s leadership. But today, with their cross-departmental perspective, internal audit staff (whether employees or outside consultants) can help anticipate and mitigate a variety of risks, improve processes — and even help evaluate your nonprofit’s strategies. On its most basic level, the internal audit function provides independent assurance of compliance with a nonprofit’s internal controls and their effectiveness in mitigating financial and operational risk. Potential risks include fraud, insufficient funds to support programming and reputational damage. Internal auditors start by identifying a nonprofit’s vulnerabilities and prioritizing them from high to low. Through testing and other methods, they then assess the effectiveness of internal controls. Auditors document their results in reports that include recommended improvements. Internal auditors further evaluate compliance with laws, regulations and contracts. They follow up on management’s remediation actions to eliminate identified risks and assist external auditors, when applicable. The effectiveness of the internal audit function hinges on auditor independence. Auditors should be independent from management and all areas they review to avoid bias or a conflict of interest. Auditors should report directly to the board of directors or its audit committee. Although the internal audit function is often viewed mainly through the prism of compliance and internal controls, it has a lot to offer beyond risk assessments and audit plans. Savvy nonprofits have begun to tap internal audit for strategic purposes. Auditors may serve as internal consultants, providing insights gathered while performing compliance and assessment work. For example, while reviewing invoices, internal auditors may discover a way to streamline invoice processing. The internal audit function’s familiarity with the organization’s inner workings also affords it an unusual perspective for evaluating strategic opportunities. Does your nonprofit have a financial weakness that could undermine plans for continuing current programs or launching new ones? Your internal auditor probably knows the answer. Increased public scrutiny of how nonprofits are governed and held accountable makes an effective internal audit function a must. But internal auditors can offer your nonprofit more than financial and compliance oversight. To ensure you’re making the most of this function, contact our audit team at 207-873-1603. Ask for Gary Smith, CPA or Danielle Martin, CPA. There’s never a shortage of misconceptions about taxes and tax refunds. With the 2018 filing season in full swing, the IRS offers basic tips to help clear up some common misbeliefs. For example: Many people believe that all refunds will be delayed, but 9 out of 10 refunds will be delivered within 21 days. Also, 80% of filers will get their refunds faster using e-file and direct deposit. And the IRS won’t call, email or text you about your refund. (These are signs of a scam.) 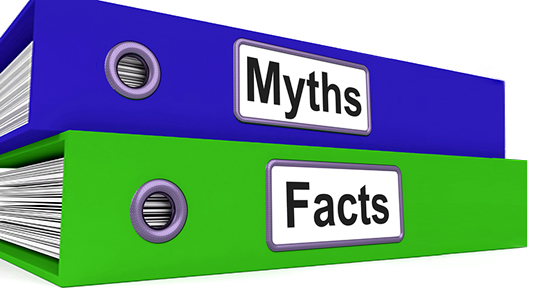 For more common misbeliefs about taxes, visit http://bit.ly/2EqRmXy or contact us at 207-873-1603. We’re happy to help! Mortgage Interest Tax Deduction: It’s not what it used to be. Per the US Census Bureau, over half of U.S. homes are occupied by the owner. Of those homeowners, over half have a mortgage that they pay interest on. For most, having a mortgage is part of owning a home and people often spend a significant portion of their life making payments on their mortgage. Before the recent change the US Tax Code section 163 specifically provided for a deduction for mortgage interest and home equity interest as an itemized deduction. This deduction has allowed taxpayers that can itemize to save tax dollars while they pay down their debt. With the recent passing of the Tax Cuts and Jobs Act, the deduction for mortgage interest has undergone two significant changes that will impact many. Under the prior law, taxpayers have been allowed to deduct interest on home equity indebtedness up to $100,000. In 2018, this deduction is eliminated and there will no longer be a tax benefit for interest paid on an equity loan. The second significant change is that taxpayers were allowed to deduct mortgage interest on mortgages up to $1,000,000. The Tax Cuts and Jobs Act now allows taxpayers to deduct interest on mortgages up to $750,000 for all mortgages originated after December 14, 2017. What happens if your refinance? Taxpayers will be allowed to keep their higher threshold of $1,000,000 if they refinance a loan that was established before December 14, 2017 as long as the new debt doesn’t exceed the amount refinanced. In other words, you will fall under the new rules if you refinance your mortgage and increase the loan amount. While there are only a small percentage of taxpayers that have a mortgage over $750,000 in the State of Maine, there are a lot of taxpayers that have been deducting the interest on their home equity loans. If these taxpayers still itemize deductions in 2018, they will no longer be able to take advantage of the equity interest deduction. It is important to understand that the law continues to allow the mortgage interest on a second home. This law has not changed from previous years and taxpayers may benefit from a deduction of mortgage interest on their first and second home, provided that the total indebtedness does not exceed the $750,000 threshold. I encourage everyone to take some time and read or speak to a tax advisor about the changes under the new tax law and how it will impact you specifically. Alison Royall, CPA is a Director at Perry, Fitts, Boulette& Fitton CPAs. She works with people and businesses to prepare tax returns and help them plan their short and long-term goals. She is a multi-state tax specialist, with clients in many other states including international clients. She works with the audit department and prepares compiled and reviewed financial statements for businesses, as well as personal financial statements for high net worth individuals. She can be reached at alison@pfbf.com or 873-1603. Whether you are a small startup organization just getting off the ground or are well-established with years under your belt, chances are you have leased a piece of equipment, office space or property. These leases have been treated as either operating or capital leases on your books. All that is about to change. On February 25, 2016, the Financial Accounting Standards Board (FASB) issued Accounting Standards Update (ASU) 2016-02, Leases (Topic 842). The ASU on leases will take effect for public companies for fiscal years beginning after December 15, 2018 (calendar year 2019) and for all other organizations, including not-for-profit organizations, for fiscal years beginning after December 15, 2019 (calendar year 2020). • If you are the lessee, you will recognize most leases on your balances sheet (statement of financial position for not-for-profit organizations). If your lease term is greater than 12 months you will be recording both a right of use (ROU) asset and a lease liability. This differs from current treatment of operating leases as currently you are expensing your lease cost on a monthly basis, thus only effecting your “bottom line” and not assets or liabilities. • There will be expanded quantitative and qualitative disclosures by both lessees and lessors. • Organizations will need to review each lease and other arrangements to determine if still meet the criteria under the new definition. • Moving operating leases onto the organization’s balance sheet could make a significant difference in the numbers the organization is reporting (to creditors, board members, etc. ), affecting loan covenants for example. • Larger organizations with multiple leases may need to spend additional time and resources to identify all leases and gather the data needed to apply the new standard. We encourage you to start the process early, meet with your management, board, lenders, donors, other users of your financial statements and your accountant to discuss the standard and the impact on your organization. About the Author: Danielle D. Martin, CPA is a Senior Audit Manager at Perry, Fitts Boulette & Fitton CPAs with 24 years of experience in the accounting world. She can be reached at danielle@pfbf.com or 873-1603. Note that other rules and limits may apply. We can provide you with a detailed picture of the new tax law and explain how it’s likely to affect your organization. Contact our professional staff at Perry, Fitts, Boulette & Fitton CPAs by calling 207-873-1603 or visit us at www.pfbf.com. Over the past couple of months, it has been hard to avoid the noise coinciding with what is formally known as the Tax Cuts & Jobs Act. Now that the bill has passed, and much of that noise has become a reality, the consequences of the reform are impossible to avoid. While the broader effects of the new legislation are yet to be seen, there are some components of the law that will have an effect on the majority of Americans within the next few weeks. On January 11, 2018, the IRS released Notice 1036, which serves to update employers on how much federal tax they should be withholding from their employee’s paychecks. Implementation of the new withholding amounts (as adjusted for the new tax landscape) is to begin “as soon as possible, but not later than February 15th, 2018”. To put it simply, this means that many of us will see a change in our take home pay very soon. You may recall filling out a Form W-4 when you began your employment? That form is what your employer uses to calculate the amount of federal income tax they should remit from your paycheck. Using the updated withholding tables released with Notice 1036, employers will be adjusting their employees’ paychecks to more accurately cover their (new) income tax liability. Here is what is important to remember: while employers can accurately determine the amount of tax owed based off of the wages they pay their employees, they have no way of considering the other elements that factor into an employee’s tax situation. Taxpayers need to consider a more involved approach at determining what their overall tax liability will be. In order to do so, each of us needs to develop an understanding of the new tax laws, and applicably determine how the new laws will affect them. Take for example, an employee who gets compensated for mileage. In the past, the compensation was likely included on the employee’s W-2, as taxable income. On their tax return, the employee would pick up the mileage compensation as part of their taxable wages, then deduct the mileage as an unreimbursed business expense on Schedule A. Now, however, as a result of the recent tax reform, that deduction for unreimbursed business expenses is no longer available; meaning that the mileage compensation will still be included as taxable income, but there will no longer be an offsetting deduction. If taxpayers aren’t proactive in making sure that they appropriately adjust their withholdings, they could potentially be in for quite a surprise when they file their tax return in April of 2019. There has a been a lot of curiosity amongst our clients lately; many of them have been asking us how they will fare under the new tax law. It is not necessary, and it might even be unwise, to wait until you file your 2018 tax return to get your answer. The tax reform act certainly did create change. If you pay federal income tax, it will bode you well to consult your tax advisor sooner rather than later; taking a comprehensive look at your new tax environment now can help you plan ahead. John Massey is a Senior Accountant at Perry, Fitts, Boulette & Fitton CPAs. He helps individuals and businesses with tax planning preparation and works on compiled and reviewed financial statements for businesses. He can be reached at jmassey@pfbf.com or 873-1603. Every year, as we turn the calendar from one from one year to the next, many of us contemplate self-imposed resolutions as a means of improvement. We interpret the dawn of a new year as if it were a clean slate; as we compartmentalize years into chapters, January first provides us with a blank page. Interestingly enough, most of us start our new chapter in a very similar manner; we resolve to exercise more, to eat less, or perhaps we are going to rid of a bad habit. As business owners, I think we can take our resolutions a step further. Of course, everyone wants to make more money than they did in the previous year, but how? Similar to your health and wellness resolutions, you need a plan. You need to identify aspects of your business that could improve and then determine how to do so. Proclaiming that your new year’s resolution is to lose weight is merely noise unless you identify specifically what changes need to be made. Think of your business in the same regard; if you want to improve your bottom line in 2018, spend some time studying your income statement, balance sheet and statement of cash flows. Calculate your receivables turnover ratio to see how efficiently you are collecting cash, calculate your inventory turnover to learn how long items are sitting on your shelves, take a good look at your expenditures – is your money being spent wisely? It is the details such as these that together in a conglomerate make up the composition of a company’s prosperity. Businesses can often times find themselves consumed by their top line. The rationalization that increased revenues correlate to increased profits might be true, but then again, it might not. While increases in revenue are obviously important, the money is in the margins. Consider this: would you rather have $1 million in sales with $900k of correlated expenses? or $500k in sales with $200k of related expenses? The latter might sound less exciting, but you will have another $200k to show for it. Closing the books at year end provides us with a unique opportunity to reflect on our company’s health. It can be difficult to step back and make an in-depth analysis during the hustle and bustle that occurs throughout the year. As you open a new ledger, I encourage you to invest some time in really looking at the numbers. After you join a gym and reluctantly commit to a new diet, consider how you might clean up your company’s balance sheet or realize better margins on your income statement. As with our personal lives, there is likely something that our businesses can improve on. It might take reflection and even analysis, but positive changes are going to pay off – literally. Wishing you and your business a prosperous and healthy 2018. Ever wonder what it will take for your business to hire and retain the best employees? Are you having trouble understanding the new generation of workers? As a Millennial myself, I hope to bridge the gap to better understand the upcoming workforce. There seems to be no rush to get to where Millennials are heading in life. Many wait longer to get married, have children and though highly educated, even wait longer to find a career. Employers should not be surprised that the newly graduated twenty-two-year-old does not know where they want to be in five or ten years from now. The motivation for many millennials is to discover and fulfill their passion rather than to earn a higher salary. Don’t get me wrong, money is a factor in seeking the best job, but it is certainly not the number one determinate. How should employers make the most of this generation? Open up the lines of communication, support flexibility and allow employees to discover their passion, both inside and outside work. Communication and feedback on a timely basis is crucial. Millennials have grown up with instant gratification and answers at their fingertips. Waiting for a yearly evaluation just won’t cut it. Most prefer to know how they are performing at the end of a specific task or function. This will allow them to turn constructive criticism into positive changes along the way. What could this look like? Quarterly meetings with a mentor in management is a great way to start. Flexibility is the second key to happiness for Millennials. Allow millennials to have say in where, when, or how their work will get done to set the tone that you believe that they can make a difference. This young workforce will not react kindly to “that is just the way we do it around here”. Help them to focus on efficiencies and the quality of the work rather than do it our way just because. My employer gave me the basic requirements for meeting client needs and set up some required times, but allows the bulk of my time to be flexible. As a Millennial, being able to control a portion of my schedule and workload lets me know that my employer wants to work towards building my career. If time is not a flexible component of your business, revamping your benefits package, including retirement savings, wellness plans or community volunteer time could prove to provide the flexibility Millennials seek. Get in touch with your Business advisors to determine which benefits might work best. Most importantly, Millennials are not lazy, in fact just the opposite is true. They are passionate and hardworking when part of a team. To tap into their talents, it is very important to recognize and embrace the generational differences so that you too can play a part in grooming the leaders of the future. Jessica Marin, MBA/CPA is employed as a Senior Accountant at Perry, Fitts, Boulette & Fitton, CPAs with offices in Bath and Oakland. She helps individuals and businesses with tax planning preparation and works on compiled and reviewed financial statements for businesses. She can be reached at jessica.marin@pfbf.com or 207-371-8002. 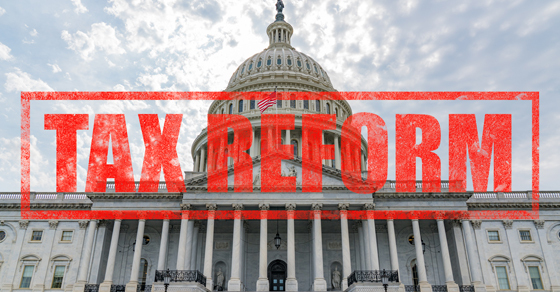 As I write this article, Congress is about to vote on major corporate tax reform, namely the “Tax Cuts and Jobs Act”. Supporters of the bill believe that corporate tax reform will more readily allow US corporations to keep taxable earnings in the US and that those earnings will spur new economic growth. Others protest that reform puts more money in the hands of the rich. Likely, both sides are correct. What the Act will not do, is simplify taxation for small business owners. Clearly these tax changes will mean an increased bottom line for Corporate America. Wall Street has reacted to the anticipated change with double digit gains in many stock market indexes. And though I do not represent any of the Fortune 500 companies who will benefit most from the reform, my retirement assets are invested in those companies. The tax cuts will undoubtedly have a significant impact on many of our local businesses as well. The final draft of the legislation gives a 20% deduction to many of those who receive business income. The Act defines trade or business income as it relates to any “qualified” trade or business of the taxpayer. For local C-Corporations, of which there are very few, the tax rate will be a flat 21%. C-Corporations with income in excess $75,000 will likely see a benefit. The more common business enterprises, such as S-Corporations, Sole Proprietors and Partnerships, will pass tax benefits along to the owners in the form of a 20% deduction on qualified business income. There are many conditions and hoops to jump through, but my reading of the bill suggests that the majority of local companies will benefit. As an example, take the local retailer with $80,000 of income from her S-Corporation. Provided conditions are met, the $80,000 will generate a 20% deduction, or $16,000, from her taxable income. Her anticipated new tax rate will also be reduced to 22%. My estimate is that she will see an additional $3,500 in her pocket next year as a result of the business change alone. What she will do with the anticipated tax savings is anyone’s guess. Hopefully, she will spend it locally on other goods and services. Undoubtedly, she will pay a tax preparer more money to complete her tax return. After reviewing the proposed changes, I have concluded that the majority of small businesses are likely to see tax savings. From a jobs perspective, the changes will at the very least be a major jobs act for the accounting profession. Unfortunately, Congress must have thought the same and has exempted accountants and lawyers, working in their profession, from benefiting from this deduction. Call it karma I guess. Time is running out to make your state income tax payments and still be provided a deduction on your Federal income tax return. Unless you have been hiding under a rock, you are aware that both the House and Senate have passed legislation to update the tax code. Both plans are calling for a repeal of the deduction for state and local income tax expense. Although we are not yet sure of the final outcome of the tax legislation, we are strongly urging all clients who pay state income taxes to be prepared to pay any state tax due before December 31, 2017. For those individuals who generally pay Alternative Minimum Tax (AMT) a prepayment may not benefit you. However, taxpayer’s who are scheduled to make January 15th, 2018 estimates and those who suspect that they will owe state tax on April 15th, are likely to benefit by making tax payments before December 31st. If you have questions about how the state income tax deduction impacts you, please give us a call at 207-873-1603 or swing by one of our two locations: 259 Front Street, Bath or 46 First Park Drive Oakland. How Can Life or Career Changes Affect Your Tax Return? Have you recently changed jobs? Started your own business? Maybe welcomed a child to your family? Well, all of these situations could have tax consequences or benefits, requiring some financial planning. When changing jobs, there are several things to consider. Did you have a 401(k), 403(b) or another form of retirement plan at your old job? If so, rolling over your retirement plan to your new employer or to an individual retirement account, may provide you with more control over your retirement savings. Also, if you recently relocated for a new job, you may be eligible to deduct moving expenses. In order to qualify, the following three requirements have to be met: your move is closely related to the start date of your new employment, your new job is at least 50 miles from your prior home, and you must have worked full-time, for at least 39 weeks during the first 12 months, in the new area where your job is located. If your job relocation satisfies these requirements, you are entitled to deduct reasonable and qualifying moving expenses. Along with considering these additional items and benefits when changing jobs, make sure you receive your W-2 from your previous employer. Have you recently started a new business or hobby and are trying to figure out how to report the income on your tax return? The first step is to consider whether the activity is in fact a business or a hobby. The key way to differentiate between a hobby and a small business hinges on your profit motive, or lack thereof. If you have a profit motive, and spend a considerable amount of time participating in your new venture, you are likely operating a small business. Unincorporated small businesses generally report income and expense on a Schedule C of form 1040. If your new adventure is really a hobby, income is reported on line 21 “Other income”. Expenses are deductible only if you itemize deductions, and are subject the 2% limitation. In either case, it is important to keep detailed records of your income and expenses. Finally, and most exciting to me is how a new child can affect your tax situation. If you added a child to your family at any time during the year you qualify for an additional dependency exemption, which phase out for higher income families, for 2017 are $4,050. The addition to the family may also allow you to become eligible for the child tax credit, and credit for child and dependent care expenses. These credits have income limitations, but are helpful when trying to combat the expenses of a new child. There is a lot to consider during life and career changes, but our experienced accountants at Perry, Fitts, Boulette & Fitton CPAs are happy to assist you through these tax and financial changes. We want you to be well prepared for the 2017 tax filing season. If we can further assist, please don’t be afraid to stop in at either our Oakland or Bath offices. Nick Deblois is a Staff Accountant at Perry, Fitts, Boulette & Fitton CPAs. He works closely with other senior staff members of the firm, honing his talents regarding tax and accounting matters. He can be reached at nick@pfbf.com or 207-873-1603. Marijuana is currently legal in some form in 30 States, Washington DC, Guam and Puerto Rico. It is quickly becoming a major economic driver in many states as reflected in Colorado. Through September, the Cannabis industry in Colorado alone has surpassed the one-billion-dollar mark. Despite the overwhelming support of legalized cannabis, the federal government continues to enforce tax policy that will, if not change, tax the industry out of business. The simple solution would be for Congress to pass legislation that would remove Marijuana from the list of Schedule 1 drugs. There are currently a host of bills that attempt to do just that. The most promising and straight forward is H.R. 1810 – Small Business Tax Equity Act of 2017. H.R. 1810, introduced by Carlos Curbelo (R- FL), is co-sponsored by 38 other members of the House from both sides of the isle. H.R. 1810 simply states that Section 280E of the Internal Revenue Code would not be applicable to “marijuana sales conducted in compliance with State law”. Unfortunately, nothing seems that simple for our elected officials. Few members of Congress, even those members whose states have legalized cannabis, are willing to take a stand against those who are against Marijuana reform- namely big pharmaceutical and big alcohol companies. Courts continue to strictly interpret code Section 280E by disallowing all deductions for trade or business expenses in connection with listed Schedule I & II drugs. Deductions from gross income are allowed for costs of goods sold (COGS). The IRS has taken the position that the definition of COGS is defined by code Section 471. Those businesses that both produce and distribute marijuana can take guidance from the Regulations found in section 1.471 of the code. Under these Regulations, includable costs consist of production facility: rent, maintenance, utilities, direct materials, tools, supplies, testing, production wages and production overhead. Specifically excluded costs include: general and administrative, marketing, selling, advertising, distribution, and other expenses not associated with production. So how can cannabis companies afford to stay in business? Let’s look to a few critical cases to better understand the constraints of Section 280E. The second direction giving case is the 2012 Martin Olive v Comm., 139 TC 19, also known as the Vapor Room case. Quite the opposite from the facts presented in the CHAMPS case, Mr. Oliver kept inadequate records and was not able to establish that he conducted more than one business. The court concluded that in order for a taxpayer to establish multiple businesses, it must be engaged in these other activities with a profit motive. Simply giving away free munchies, coffee and advice did not escalate to a spate business unit. The case did, however, give guidance to an acceptable cost of goods sold percentage of roughly 75%. In the most recent cannabis case decision released on October 23, 2017(Feinberg v. Comm., TC Memo 2017-211), the US Tax Court decided in favor of the IRS with respect to costs disallowed under Section 280E. The IRS victory in this case hinged mainly on the taxpayers’ inability to support its deduction as it related to cost of goods sold. The court concluded that the taxpayers did not “maintain sufficient reliable records to allow the Commissioner to verify the taxpayer’s income and expenditures.” The court did not rely on post audit reclassification of cost of goods sold items. Alas, there is no substitute for good record keeping. As a Certified Public Accountant (CPA) who specializes in the industry and has represented clients through multiple IRS audits, my take away is simple: It is foolhardy for one to believe that by some magical process, Section 280E will go away or will be retroactively repealed. Until legalized cannabis is exempt from Section 280E provisions, industry businesses should make every effort to direct the predominance of their expenses into production. CEO’s, CFO’s and specialists should concentrate their time and resources on production, manufacturing and inventory controls. Multiple business units should be established, each with its own written plan for profitability. Job descriptions should indicate which positions have inventory production, control or monitoring responsibilities. CPAs familiar with cannabis can play an important role in helping business owners set up a chart of accounts, identify business units and develop strong internal controls needed for success. It is clear to me that IRS audits in this industry will not go away any time soon. Every company should prepare themselves for this eventuality. For now, good accounting records and well thought out business units will reduce the strain of Section 280E and allow all involved to keep their heads above water. To survive the long term, however, the industry must get Congress to remove marijuana from the grips of Section 280E. It will be beneficial if all involved give their representatives in Washington, DC a heads up that H.R. 1810 – Small Business Tax Equity Act of 2017 is the simplest solution. Will Taxes Mean the End of Marijuana Reform? Last November, Maine voters approved the legalization of recreational marijuana. Since then, entrepreneurs in the industry have begun gearing up now for what will become a real growing frenzy. Warehouse space is being gobbled up by speculators looking to participate in what is already a multibillion-dollar industry. However, all parties should be wary of IRS Code Section 280E. The states that have legalized marijuana impose sales or excise taxes which are generally passed directly to the consumer of between 10% and 30%. Colorado alone is expected to report sales in excess of $1,000,000,000 with a tax structure that includes a 2.9% sales tax, a special recreational sales tax of 10% plus a 15% excise tax. Needless to say, State and local governments in Colorado are cashing in. What is not so widely known is that the federal government is also cashing in and the entire industry is at risk. By my count, 23 states now allow for medical or recreational use but the federal government has made no headway in removing marijuana from its list of Schedule 1 controlled substances. 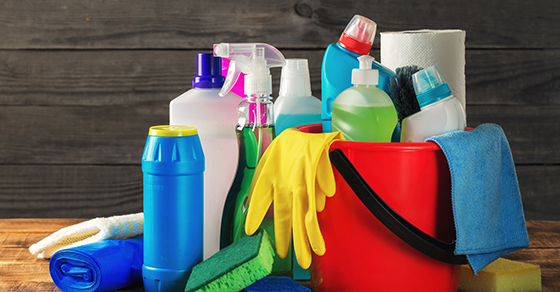 The significance of this categorization is important because IRS Code section 280E denies most deductions incurred by businesses trafficking any substances listed on Schedule 1. Since the Maine tax code piggybacks the federal code, it also disallows trafficking/selling related expenses. Currently, corporations in Maine face a federal and state tax rate of 45% on its gross profit. Without the ability to deduct ordinary business related expenses, the industry could see effective tax rates between 80-90% of income. So how does Congress protect Maine’s marijuana industry? The fix is simple. Congress should remove marijuana (sold legally under state law) from the list of Schedule 1 drugs. To a limited degree, many bills addressing parts of this issue have been put forth and sit in committee somewhere, each seemingly stonewalled. The most recent bill introduced into the House, “States’ Medical Marijuana Property Rights Protection Act” gives some insight to the magnitude of the problem of using your property to grow marijuana. The bill removes real estate from the list of items that can be forfeited as a result of a violation of the Act. The Controlled Substances Act currently imposes forfeitures which include, among other things, the forfeiture of “All real property, including any right, title, and interest… any lot or tract of land and any appurtenances or improvements, which is used…a violation of this subchapter…”. The aforementioned bill only sets out to remove from the penalty section the forfeiture of real property but does not remove Marijuana from the list of Schedule 1 substances. This should be a reminder to all, even those merely renting warehouse space, that until the federal law removes legal marijuana from its Schedule 1 list, the life of the industry is on the line. “Tax season” is a term that most of us are familiar with and things are certainly getting into full swing at tax firms across the country. Typically, people think of Forms 1040, 1120 and 1065 at this time of year. There is however, another very important form that non-profit organizations (NPO) need to file, which is IRS Form 990 – Return of Organization Exempt from Income Tax. Unlike individuals, NPO’s have varying year ends which keep CPA firms busy year-round. Form 990 presents the organization’s financial picture for the year. In addition, it provides information on governance, compliance with other tax filings, specific information on programs and overall general operations. In short, it is a one-stop shop for users to learn about an organization. Consequently, it’s important for the NPO to complete the return accurately and of course timely. There are 16 schedules to the 990 that a nonprofit organization needs to be aware of. Management, along with assistance from the auditor/accountant, should go through the “Checklists of Required Schedules” on pages 3 and 4 of the 990 to determine which schedules pertain to them and that will in fact need to be filed. The following are some of the more common schedules required: Schedule A – Public Charity Status and Public Support, Schedule B – Schedule of Contributors, Schedule D – Supplemental Financial Statements, Schedule G – Supplemental Information Regarding Fundraising or Gaming Activities, Schedule J – Compensation Information, Schedule L – Transactions with Interested Persons and Schedule O – Supplemental Information to Form 990. For nonprofits with gross receipts of less than $200,000 and total assets at the end of the year of less than $500,000, the Form 990-EZ should be filed. Smaller tax-exempt organizations who’s annual gross receipts are normally $50,000 or less can comply with their annual reporting requirement by electronically submitting Form 990-N (e-Postcard). The due date for the Form 990 series is the 15th day of the 5th month following the year-end. For NPOs with a December 2016 year-end, the initial due date is May 15th. 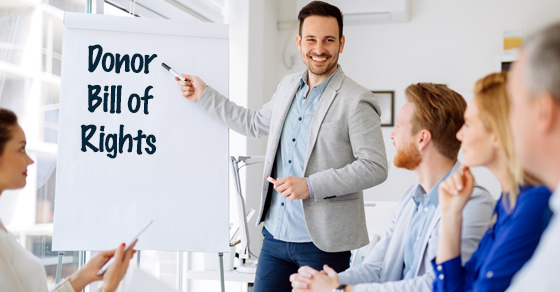 Form 990 is not only an IRS compliance requirement, but more importantly it is a way for the NPO to educate potential donors and board members, tell their story, explain their mission and market their organization and programs. It can be a key tool in an organization’s fundraising and marketing efforts. About the Author: Danielle D. Martin, CPA is a Senior Audit Manager at PFBF CPAs with 24 years of experience in the accounting world. She can be reached at danielle@pfbf.com or 873-1603.
Business Owners: On Your Mark, Get Set, Go! The start of the New Year marks the beginning of the IRS informational reporting season that will keep most business owner’s heads spinning. None are overbearing or difficult unless, of course, you don’t get them right the first time. Failure to correctly file W-2 and 1099 forms could get 2017 off to a not-so-happy start. W-2 forms must be furnished to employees and filed with the Social Security Administration no later than January 31, 2017. It is possible to request a 30 day extension by submitting Form 8809. If errors are made with the initial filing, W-2c forms can be used to correct them. My advice is to work with your tax professional to make sure that you get them right the first time. The IRS list the most common mistakes such as omitting decimal points and cents, using a font that is too small or large, (12-point Courier font is recommend), and incorrectly checking the “Retirement plan” box. Incorporated businesses filing form 1120S are required to include fringe benefits into > 2% shareholder’s taxable income. Fringes include: health insurance, HSA plans, and personal use of company owned vehicles. You should contact your payroll provider to make sure they have the information needed. Employee business expense reimbursements made under an accountable plan are generally not required to be included on form W-2. Payments made as part of a non-accountable plan must be reported as taxable wages. Be sure to communicate any reimbursement plans to your payroll and tax providers as the substantiation requirement are very strict. Penalties for failure to correctly file W-2 forms by the due date can range from $50 to $260 per W-2. Warning, this is not for the faint of heart! There are over 30 informational returns that a business might be required to be file including payments for: interest, dividends and rents. Reporting is also required for payments to: foreign persons, crew members of fishing boats, and attorneys. 1099 MISC Forms that report nonemployee compensation are required to be filed for all non-incorporated service providers, not considered to be employees, who have been paid more than $600. Many business owners consider these filings as trivial and not worth the effort. Sound familiar? Please heed my warning, these informational returns are essential to the U.S. Treasury that failure to correctly file them can and carry penalties ranging from $50-260 per informational return. Small Business Owners do have the special privilege of having the penalty capped at $1,064,000 per year. As you look to start 2017 on the right foot, I suggest that you take the time to meet with your tax professional and payroll provider to make sure that your informational returns are filed right the first time. About the Author: Jamie Boulette, CPA has 30 years of tax experience and is managing director of Perry, Fitts, Boulette & Fitton CPAs with offices in Bath and Oakland. He can be reached at jboulette@pfbf.com or 371-8002. Cyber Security Threats. Are you a victim? You may (or may not) have heard about cyber threats in the news, especially those targeting tax professionals. We want to reassure you that all of us at Perry, Fitts, Boulette & Fiton CPAs have been taking every precaution to protect your personal tax information. Your trust and the security of your information are crucial to us. At Perry, Fitts, Boulette & Fitton CPAs, we have formed a special security committee, updated password protocol, continue to have an on-site technology professional monitoring our systems and continue to follow safe practices in safeguarding your data. We password protect your tax return when sent by email and will also redact social security numbers for an additional layer of security. We have ongoing security training in place for our staff. We will call if you send us an attachment that we are not expecting or to let you know we are sending a safe, secure attachment to you. If you have any questions or concerns, please contact us! 207-873-1603 or 207-371-8003. Your security is our priority. About the Author: Lynn Stover is an integral part of the PFBF CPAs tax team and a valued senior tax specialist. She operates primarily from our mid-coast Bath location, meeting with clients for tax planning and preparation. She can be reached via email, lynn@pfbf.com or by the above phone numbers. Maine Educational Opportunity Tax Credit. Are you receiving it? The Maine Educational Opportunity Tax Credit seemingly, silently began in 2008. I say silently because many people still don’t know about it. The program provides a Maine income tax credit for Maine residents who received an associate’s or bachelor’s degree from an accredited Maine college. You must be working in Maine and repaying student loans. In 2016, the credit expanded to include an associate’s or bachelor’s degree from a non-Maine college. It also now includes graduate degrees obtained from a Maine college after 2015. If your degree is in science, technology, engineering or mathematics (referred to as a “STEM”degree) the credit is refundable. For other degrees, the credit can reduce your tax to zero and any unused portion will carry forward for up to ten years. Maine resident student started college in 2008, received a bachelor’s degree in 2012 from a Maine college and begins paying student loans January of 2013. The individual makes 12 equal loan payments of $342. This amount is coincidently the “benchmark amount” which is the maximum the state allows for the credit. This individual’s credit would be $4,116 (12 x 342). If they obtained a STEM degree this credit would be refundable, meaning if their Maine income tax was zero, they would receive a refund of $4,116. If they did not obtain a STEM degree, still assuming the Maine income tax was zero, the $4,116 would apply to a future Maine income tax liability. Either way this can be a powerful credit. However, as with any tax credit, it isn’t that simple. The student could have started college before 2008, transferred to a college outside of Maine for a period of time, worked outside of Maine for a period of time, made unequal or sporadic loan payments, all which alter the calculation, perhaps drastically. Let Perry, Fitts, Boulette & Fitton CPAs help you sort out the complexities and variations of the credit to ensure you get the maximum benefit. About the Author: Lynn Stover is an integral part of the PFBF CPAs tax team and a valued senior tax specialist. She operates primarily from the mid-coast Bath location, meeting with clients for tax planning and preparation. You can contact her at lynn@pfbf.com or 207-371-8003. Do you have clients that want to trade their services with you? Possibly you performed a service for them and they provided you with goods and services or vise versa. If that’s the case, the following describes how to best handle this barter transaction inside of QuickBooks. The net effect on your income is zero, but you will gain a more accurate picture of your total income and expenses for that period of time. In this Example you will be Lucy’s Landscaping: Johnny’s Plumbing installed a new Shower for Lucy’s Landscaping business and Lucy’s Landscaping spruced up the yard with new shrubs and flowers at Johnny’s Plumbing Office. Let’s begin by going to your Chart of Accounts and creating a New account (the type=Bank) and let’s call it Barter/Trade Clearing Account. Enter in an invoice for landscaping services for your (Customer) Johnny’s Plumbing representing the amount of income you would have received had you not traded services. Next enter in a Bill for the Shower installation under Johnny’s Plumbing (Vendor) for the amount you would have paid had you not traded services. Receive a payment against the landscaping invoice. When depositing this money into your bank account (In QuickBooks) choose the Barter/Trade Clearing Account. Now pay the Bill for the Shower install using the Barter/Trade Clearing Account. At this point, you will need to reconcile the Barter/Trade Clearing Account. Begin the reconcile by choosing the Barter/Trade account and entering a zero in the ending balance amount and proceed to reconcile like you would any normal bank account. Always reconcile this account once you have completed your trade transactions. About the Author: Deb Rockwell was chosen as one of Intuitive Accountant’s 2016 Top 100 ProAdvisors » in the U.S. She has been recognized as one of the leading consultants who have embraced the ProAdvisor program and have leveraged it in order to better serve her clients and grow their own businesses. She can be reached at 207-873-1603 or deb@pfbf.com. Customer service is a smile, a genuine warm welcome, a patient, listening ear for what is being said, and always remember the old adage of “Kindness Matters”; it really does matter. Recognizing that when our clients call us or come in with questions and concerns, they are not an interruption in our day, they MAKE our day! Our clients are the primary reason we show up everyday, ready to work with and for them. The best customer service begins in the workplace, treating the folks we see and work with everyday with the same respect and positivity that we’d expect to receive. That customer service “culture” flows through to interactions with our clients, whether by phone, email or face to face meetings. As Martin Oliver said, “Whether you are big or small, you cannot give good customer service if your employees don’t feel good about coming to work.” I believe that when the workplace mindset is to provide out-of-the-ordinary customer service, for clients and for co-workers, we are all winners. About the Author: Peg Campbell joined the PFBF CPAs team in 2006 to bring excellent support to our team and superior customer service to our clients. Peg takes the time to welcome every client who calls or visits our office, making sure all of their needs are met. She co-manages the front office, processes tax returns, and supports our team of accountants. Here at Perry, Fitts, Boulette & Fitton CPAs, we’re already looking forward to next tax season! While we’ll try to enjoy the beautiful Maine summer weather, we’re always thinking of taxes. We have some good news and bad news. The good news is: partnership returns will be due March 15 rather than April 15. The bad news is: partnership returns will be due March 15 rather than April 15. So, on one hand, it will be easier to prepare your 1040 by April 15 because your K-1’s will (should) be ready. But on the other hand, we’ll all have to start gathering our information earlier to meet this new deadline. Note: the due date for an S Corporation remains March 15. If you are an employer distributing W-2s or required to issue 1099s – these forms need to be filed with IRS/SSA by January 31 (the same day they are due to the taxpayer). They used to be due to IRS/SSA by February 28. This new legislation made other changes to due dates and extension due dates. If you have any questions, please call us for details. Enjoy your summer and rest assured we’ll be watching the tax news for any changes that pertain to you. Since moving to the Mid-Coast area a few years ago, my wife and I have been called upon many times to help a number of local charities. We are very strong believers that it is our obligation to make our community stronger during our brief stay in this wonderful world so we choose to help where we can. We ask all readers to support their favorite local charities as they are the heartbeat of society, making a difference in all of our lives. Two of our favorites include the Bath YMCA and Big Brothers Big Sisters. For over 150 years, the Bath YMCA has promoted healthy living and provided youth with a safe place to grow. BBBS has been creating nurturing relationships for children facing adversity since 1904. Clearly both organizations make a positive impact on the lives of youth in our area. What they also have in common is that they are both qualified charitable organizations defined under the IRS Code. As most already know, donations to nonprofit groups like the YMCA and BBBS are tax deductible if you itemize deductions. By definition, a donation is voluntary and is made without getting, or expecting to get, anything in return. To be deductible, a donation must also meet other strict criteria as outlined in IRS Publication 526. Donations can get a little sticky when goods or services are received as a result of the contribution. Take for example, the local fundraising silent auction that you pay $1,000 to stay a beach house. If the fair value of that stay is $1,000, you have not made a contribution and no deduction is allowed. If, however, you pay $1,500 for the same stay you could be entitled to a $500 deduction. For those who think that there is a safe amount that can be deducted be warned, the IRS has many strict rules for deducting charitable contributions. The rule that impacts most people is the requirement that individual contributions of $250 or more be backed with a written acknowledgement from the qualified organization. The acknowledgement must be in your possession before you file your return, include a description of the gift and a statement as to whether you received any goods or services as a result of the contribution. My wife and I firmly believe that we all have an obligation to give back. Giving back is the life blood for local charities, and the tax deduction feels good too. 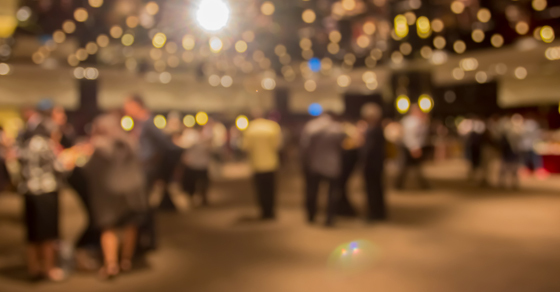 The next time you attend a charity auction, bid high and bid often.